Close Up Honey Comb Grill Background. 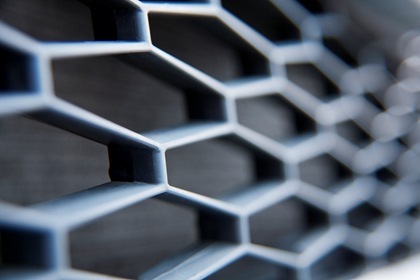 Car mesh front grille. Front Radiator.